If someone wants to say a mouthful, all he need do is utter a word of dental terminology. It has some of the longest, most difficult words to pronounce for a lay person. For example, "perio" is a well known abbreviation in dentistry that means periodontal disease. Or, perhaps it means peridontitis. It actually means both of these words and more. But wait, we're not stopping with just one abbreviation. D: distal surface, the part of the tooth farthest from the mid-line, or center front of the mouth. M: mesial tooth surface, the part of the tooth closest to the mid-line. B: buccal tooth surface, the part of a posterior, or back tooth, facing the cheek. L: lingual, the part of the tooth that faces the tongue. O: occlusal, the biting surface of posterior teeth. I: incisal tooth surface, the biting edge, of front teeth. F: facial tooth surface, the front side of anterior, or front, teeth. Ant: anterior, the front of the mouth. Post: posterior tooth surface, the back of the mouth. AM, or amal: amalgam filling material. C or Comp: composite tooth-colored filling material. MODL: mesio-occlusal-distal-lingual amalgam filling. IF: incisal-facial composite filling. ZOE: zinc oxide and eugenol temporary filling material, which soothes the nerve of the tooth. PFM: porcelain fused to metal crown or bridge. PVC: porcelain veneer crowns, made of porcelain with no metal. FGC: full gold crown. PV, or Ven: porcelain veneers, only for the facial surface of the tooth. Copalite: copal varnish used as an insulator in the tooth before a silver filling is placed. Dycal: calcium hydroxide, used under fillings to help restore secondary dentin. FGI: full gold inlay, involving a surface between the teeth. FGO: full gold inlay, does not involve a surface between the teeth. RCT: root canal therapy. EXT: extraction, or removal of a tooth. RT EXTS: root tip removal. Surg EXTS: surgical removal of teeth. RPC: root planing and curettage, deep cleaning of the gums. Prophy: prophylaxis, teeth cleaning. SLT: sealants, on children's teeth. FUD: full upper denture. FLD: full lower denture. PLD: partial lower denture. PUD: partial upper denture. 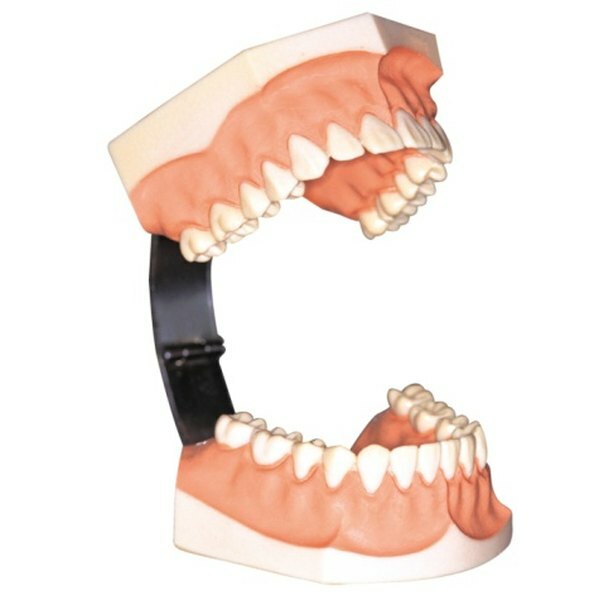 FLIP: flipper, or temporary partial denture. Pro Flo: prophylaxis, with fluoride. Top: topical anesthetic. Cat-gut: dissolvable sutures. Silk: silk sutures. Premed: patient premedicated with prophylactic antibiotic for dental treatment. ANUG: acute necrotizing ulcerative gingivitis, basically gangrene of the gum tissue. Apico: apicoectomy, the surgical snipping off of root tips when contamination remains after root canal. BU AMAL: Amalgam build-up on a tooth that has broken down; it will eventually require a crown to restore it. N20: nitrous oxide. Novocaine: misnamed anesthetic correctly called Lidocaine or Carbocaine. RX: prescription for medication. BID: medication taken twice a day. TID: medication taken three times a day. PRN: medication taken as needed for pain. Top: topical anesthetic gel used to numb the place to be injected. Bard Parker: scalpel to flap tissue. Perio: periodontal disease. FMX: full-mouth x-rays. PA: periapical x-ray of one tooth. BWX: bite wing x-rays. Pano: panoramic, x-ray of full mouth. Hyg: the patient's oral hygiene. 20: 20-gauge needle, usually used for upper-tooth injections. 24: 24-gauge needle, usually used for lower tooth injections. FL: fluoride given to children and adults after a prophy; it could be stannous fluoride or acidulated phosphate.